PET (polyethylene terephthalate) is most commonly known as a member of the polyester group of plastic polymers and the ingredient in all PET plastic products. It was first produced in the United States during the 1940s by chemists looking for a material that could be used to make new textile fibers and it originally gained recognition as a wrinkle-free fiber used for textile manufacturing. In the production phase, pellets of PET resin are heated to a molten liquid, which can be easily extruded or molded into almost any shape. In recent years PET plastic products have become a mainstay of food and beverage packaging. The PET polymer has barrier characteristics that prevent gas and liquid penetration and oxygen cannot seep in to spoil food or drink. PET for packaging is a clear, light, strong and durable material that remains an inexpensive and reliable solution for many packaging companies. Other uses of PET include personal care, pharmaceutical and medical products and is consequently sanctioned by health authorities around the world. PET plastic products are recyclable and highly sustainable. It can be repeatedly recycled back into automotive parts, construction materials, carpet and clothing fibers, food and beverage containers, personal care products and strapping, just to mention a few uses. PET can be reclaimed and reworked by chemically breaking down the material and by methodical washing processes which can transform the PET into new resin. More than a billion pounds of used PET bottles and containers are collected in the U.S. each year for recycling. Indeed, it’s the most recycled plastic in North America. Municipal collection stratagems contribute to the recycling of PET plastic products. It is easy to recognize the material as the products are most often labeled as PET or PETE and include a #1 identification code. 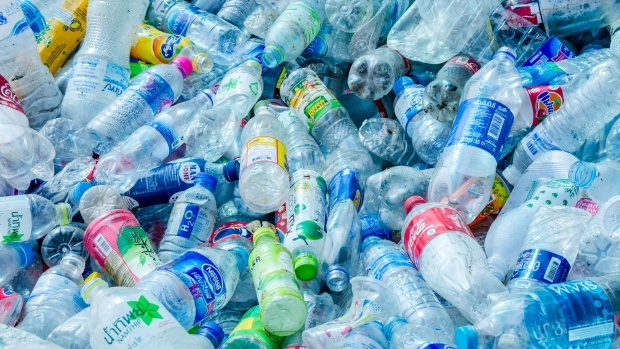 PET containers and bottles are included in virtually all North American and European municipal recycling efforts and the rate of reclamation is continually on the rise.